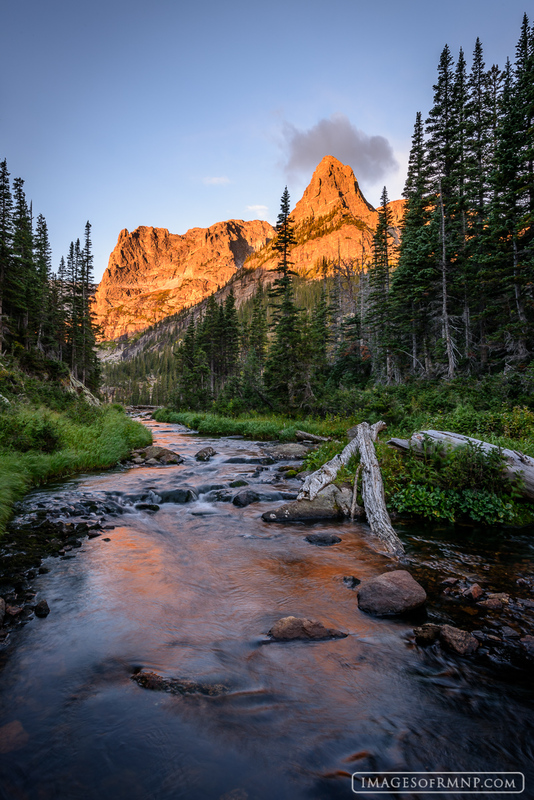 The Little Matterhorn in Rocky Mountain National Park may not be as big as its namesake in Switzerland but that doesn't detract from its beauty. That is particularly true on a morning like this as it gently reflects in the outlet of Odessa Lake. Photo © copyright by Erik Stensland.